ATKINSON -- Julia Colvin Horrell, 76, passed gently from this life Jan. 31, 2019 at the Lower Cape Fear Hospice Care Center in Wilmington. Julia had been at the Care Center for a week after living several months with her daughter in Rocky Point. 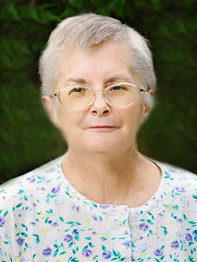 Julia was born June 20, 1942 in Bladen County to the late James Floyd and Doris Croom Colvin, and was a long-time resident of Pender County, living in the Atkinson community for nearly 50 years. She was a homemaker for most of her life, raising her three children and helping care for her grandchildren. She was a member of the Atkinson Baptist Church, teaching children in Sunday School for many years. Julia enjoyed working in the family garden with her husband Carl, growing a variety of vegetables she prepared and served for her family. She also had a love for jigsaw puzzles, showing great patience in putting together the large and complicated ones. She enjoyed western movies – especially the old films with John Wayne and other classic western actors. She was a gentle soul with a great love for her family, a steadfast faith in God, and a secure hope of her place in Heaven. Julia was preceded in death in 2002 by her husband of 33 years, Carl Winton Horrell. She was also preceded in death by her twin sister Shirley Robinson, and her brother, James “Butch” Colvin Jr. Surviving are her children, daughters, Connie Benton and husband John of Hope Mills, Katie Pettigrew and husband Andy of Rocky Point; her son Ronnie Young and fiancée Shelley Harker of Kelly; one stepdaughter Cathy Manning; seven grandchildren, Brandon Young (Emily), Briana James (Colton), Hunter Young (fiancée Nicole), Cody Young, Samantha Judge (Nick), Kayla Benton, and Autumn Cromartie; two step-grandchildren, Heather Robinson (Richard), and Shannon Edwards (Matt). Julia had seven great-grandchildren. Funeral services will be held 2 p.m. Sunday, Feb. 3, at the Quinn-McGowan Funeral Home Chapel in Burgaw. The service will be conducted by Andy Pettigrew. The family will receive friends from 1-2 p.m., one hour prior to the service at the funeral home. Pallbearers will be John Benton, Brandon Young, Hunter Young, Cody Young, Colton James, and Travis Maness. Burial will follow in the Colvin Family Cemetery in Kelly. The family wishes to thank to the staff of Lower Cape Fear Hospice Care Center in Wilmington for their very kind and attentive care for Julia during her stay. To share memories or send condolences to the family select Tribute Wall or Guestbook. The family was served by Quinn-McGowan Funeral Home, Burgaw.